I am going to try a fluorocarbon leader for pike fishing, but I am not really sure which brand to go with. Does anyone have experience with these two brands? Are there any better ones? I am open to any suggestions. The main thing I am worried about is how well they will stand up to teeth. Thanks. 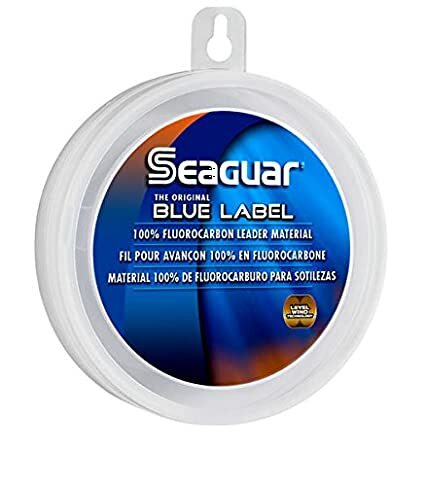 Unless you're using something like 100 lb test, fluorocarbon doesn't stand up against teeth any better than monofilament. Try it and see for yourself. If you insist on trying it, give the fish a break at least, and only use single hooks so you don't leave the thing with a mouth full of crap. Wire still rules when you fish for toothy critters. Don't worry, it will be 100lb test with single barbless hooks. That's how I always fish. From everything I have seen, fluoro is actually easier on the fish, especially if they roll. That's one of the main reasons I am switching from wire. Apart from that, I generally wait for the fish to take the lure and then swim away from me to set the hook. This works really well with soft plastics, and 95% of the time the hook is right in the corner of the mouth so that the leader never touches the teeth. Yeah have fun with that LOL! "...if they roll..." - good point. How you play a fish can be a big factor. 12-20 lb fluoro should do the trick in most cases if your gear is properly sized and you can bring the fish in without letting the line get tangled and drag across their teeth multiple times. Just check your after each fish and you should be OK. Thank you for the input fellas. I agree that it is overkill, but I just want to play it safe. Anyone here try Hi-Seas or Triple Fish fluoro? Those seem to be the cheapest options and as long as they are alright I think I will go with one of those. So have I actually. Berkley seems good though.